This is a room that you can MOVE the furniture so you can make it a craft room or a bedroom! 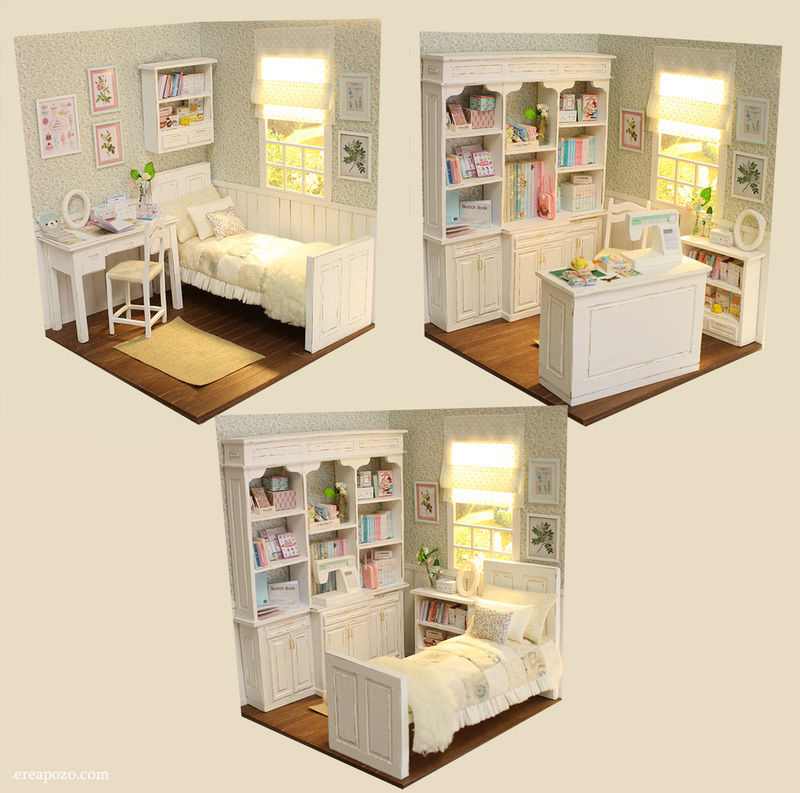 - Furniture : Bed , Desk , chair , craft table , wall shelves , bookcase. and all the Furniture and accesories that are shown in the PHOTOS ! It fits to 1/6 scale dolls : Barbie , Blythe , momoko , Pullip , licca , pure neemo. New custom Byul doll SUNNY MOCHI !